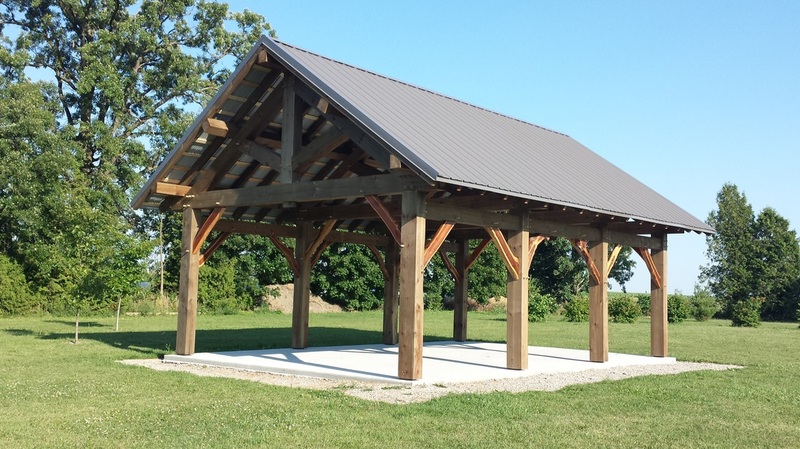 Timber Frame Pavilion: Our Newest Addition! On Saturday, June 4th, 2016, we raised a 20' x 30' timber frame pavilion at the park in a one-day community build. The roof was later installed the week of July 18th. Its unique construction using mortise and tenon joinery and wooden pegs not only adds to its visual appeal, but celebrates our rural heritage. This pavilion, which is available for community use, is an important step forward in the revitalization of the park. 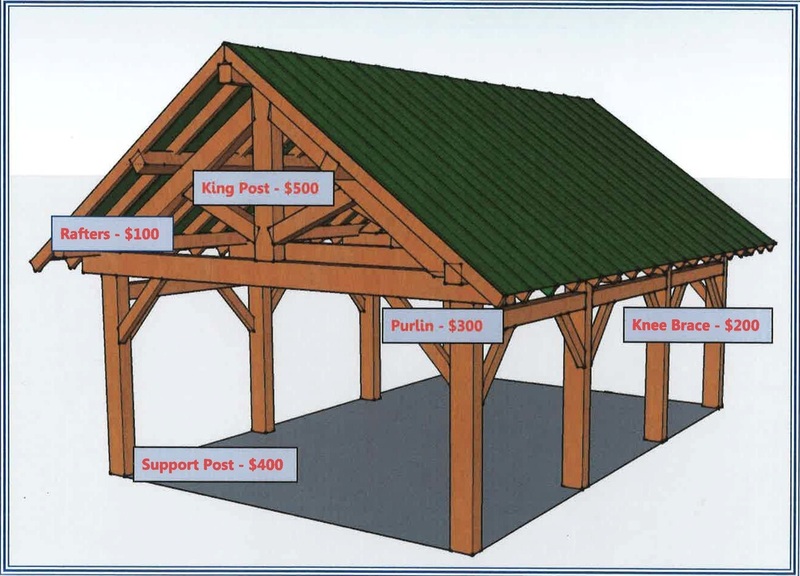 Thank you to everyone who has supported the pavilion project whether it be with your time, materials, or financial contributions. We couldn't have gotten this far without you. The project is ongoing, though, so please consider making a donation to help us continue our work in the park. 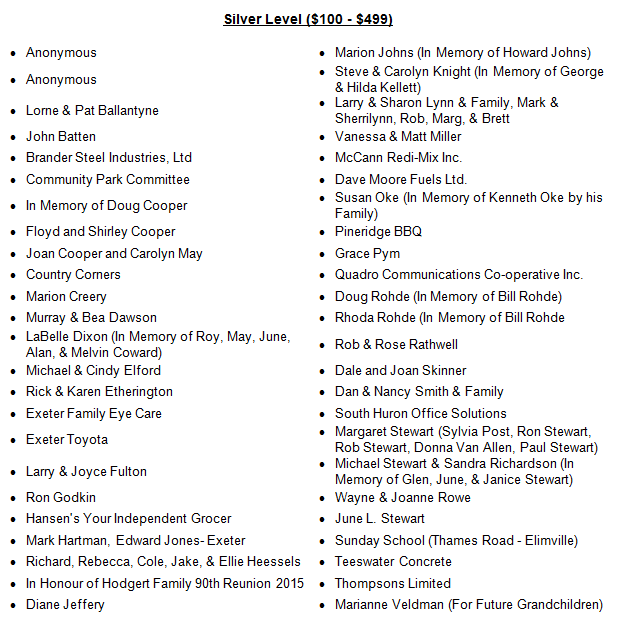 Income tax receipts are available for donations over $10.00. 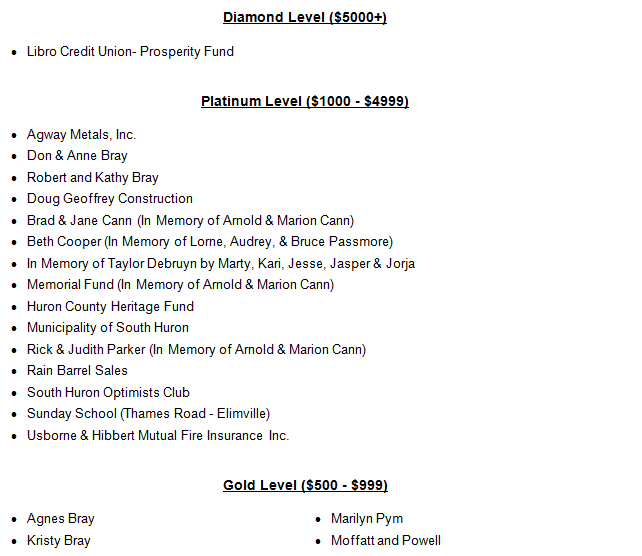 More detailed information about the pavilion fundraising efforts can be found in the brochure posted here. A HUGE thank you to everyone who has donated to this project!